It's my birthday month! This is a pretty BIG year too...the magical 40 is happening next week. Isn't 40 the new 30? I actually have no problem turning 40, my motto for the year is fabulous & 40. 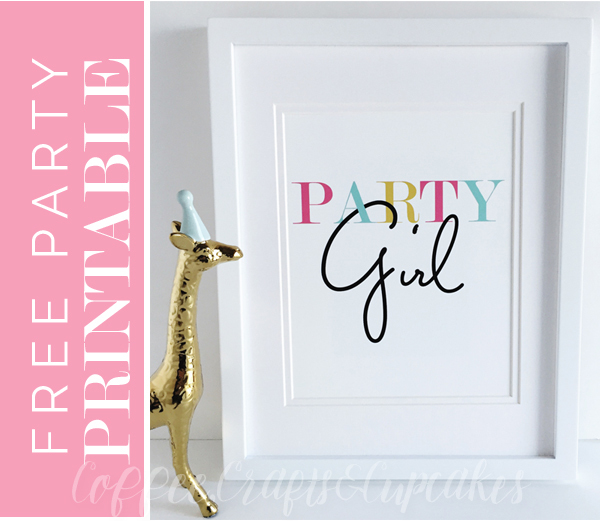 I wanted to create a fun print for all my party gals, I think Party Girl says it perfectly. Just click on the image below for the download. This free print will only be available until March 6th, so grab it while you can! By the way that adorable party giraffe is from the Oh Joy at Target. I didn't know I needed a giraffe until I saw it...of course that happens a lot at Target. THIS PRINT IS NO LONGER AVAILABLE FOR FREE.